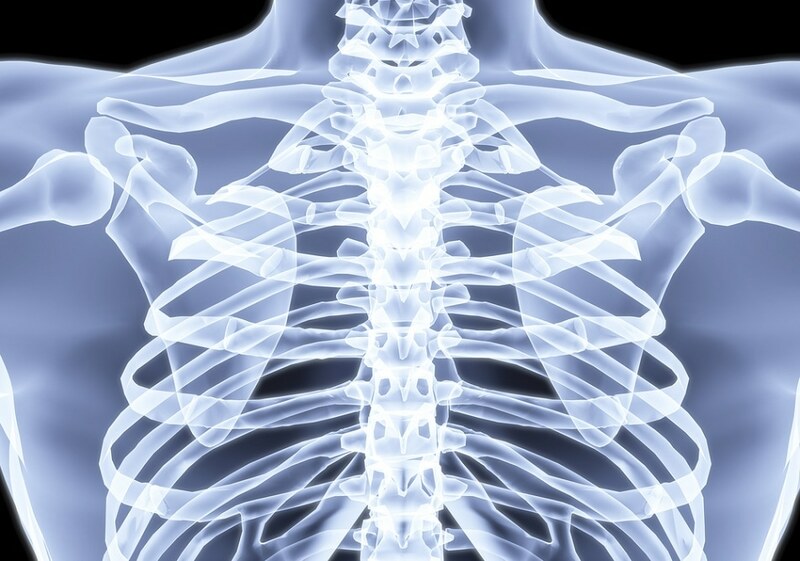 A team of Trinity College Dublin Chemists partnered with Royal College of Surgeons in Ireland (RCSI) to formulate a breakthrough new scanning method to generate very high-resolution 3D images of bones without patients being exposed to X-ray radiation. The chemists fasten luminescent compounds to miniature gold structures to form biologically safe ‘nanoagents’. These nanoagents are attracted to calcium-rich surfaces, which materialize when bones crack - even at a micro level. These nanoagents target and emphasize the cracks formed in bones, allowing the team to produce a comprehensive 3D image of the damaged areas. As this method can be used to diagnose bone strength and provide a thorough blueprint of the degree and precise positioning of any injury or weakness, it will have key implications for the health sector. This knowledge must serve as an early-warning system for people at a high risk of degenerative bone diseases, such as osteoporosis, and may help to prevent the need for bone implants in several cases. The study was led by the Trinity College Dublin team of Professor of Chemistry, Thorri Gunnlaugsson, and Postdoctoral Researcher, Esther Surender. Details of the study has been published in the leading journal Chem, a sister journal to Cell, which is published by CellPress. This work is the outcome of many years of successful collaboration between chemists from Trinity and medical and engineering experts from RCSI. We have demonstrated that we can achieve a three-dimensional map of bone damage, showing the so-called microcracks, using non-invasive luminescence imaging. The nanoagent we have developed allows us to visualise the nature and the extent of the damage in a manner that wasn't previously possible. This is a major step forward in our endeavour to develop targeted contrast agents for bone diagnostics for use in clinical applications. The study received funding from Science Foundation Ireland and the Irish Research Council, and benefited from partnership with scientists at RCSI, led by Professor of Anatomy, Clive Lee. Professor Lee said: "Everyday activity loads our bones and causes microcracks to develop. These are normally repaired by a remodelling process, but, when microcracks develop faster, they can exceed the repair rate and so accumulate and weaken our bones. This occurs in athletes and leads to stress fractures. In elderly people with osteoporosis, microcracks accumulate because repair is compromised and lead to fragility fractures, most commonly in the hip, wrist and spine. Current X-ray techniques can tell us about the quantity of bone present but they do not give much information about bone quality." He continued: "By using our new nanoagent to label microcracks and detecting them with magnetic resonance imaging (MRI), we hope to measure both bone quantity and quality and identify those at greatest risk of fracture and institute appropriate therapy. Diagnosing weak bones before they break should therefore reduce the need for operations and implants - prevention is better than cure." In addition to the unparalleled resolution of this imaging method, another positive step forward is in it not exposing patients to X-rays. X-rays discharge radiation and in some cases have been linked to an increased risk of cancer. The red emitting gold-based nanoagents used in this substitute method are biologically safe. For some time, gold has been used safely in the body by medics. These nanoagents have great potential for clinical application. Firstly, by using gold nanoparticles, we were able to lower the overall concentration of the agent that would have to be administered within the body, which is ideal from a clinical perspective. Secondly, by using what is called 'two-photon excitation' we were able to image bone structure using long wavelength excitation, which is not harmful or damaging to biological tissues. These nanoagents are similar to the contrast agents that are currently being utilised for MRI within the clinic, and hence have the potential to provide a novel means of medical bone diagnosis in the future. Specifically, by replacing the Europium with its sister ion Gadolinium, we can tune into the MRI activity of these nanoagents for future use alongside X-ray and computed tomography (CT) scans. Professor Gunnlaugsson and his research team are based in the Trinity Biomedical Sciences Institute (TBSI), which celebrated its 5-Year anniversary recently. Professor Gunnlaugsson presented his study at a symposium to mark the occasion, along with several other world-leaders in immunology, chemistry, cancer biology, and bioengineering.